Capt. 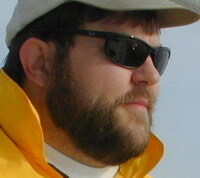 Mike is an experienced sailor with over 20 years of sailing and SCUBA experience. Mike owns several different vessels and has sailing experience in the Atlantic, Pacific, Caribbean, Gulf of Mexico, and many inland lakes in the US and Canada. In just the last 10 years alone, Capt. Mike has logged more than 1000 days on the water. Mike's rate for deliveries varies depending on the specifics of the trip. On average, his captain's rate is between $350-$450 per day. Additional delivery crew, almost always necessary, can cost as little as $75 per day per crew, or as much as $150 per day each, for tougher offshore deliveries. Provisions, dockage/mooring fees, fuel, water, travel expenses, etc. are all additional. USCG Required Safety Equipment including life raft and MOB recovery equipment. Ground Tackle - pref. 2 anchors + 200ft + of rode each. Engine Spares: Oil, oil filters, fuel filters, impellers, etc. Galley Equipment - pots, pans, eating utensils plates bowls etc. 12 volt Outlets (cigar lighter type) in cockpit and salon. Hunter Marine introduces the new 45DS. It is a totally new design with the most open salon ever designed. It has dual helm stations. The aft stateroom is very roomy with a queen size berth. Up forward is a pullman style berth. All in all, we can't wait to add this to the fleet. Hunter has sold over 50,000 boats! Glenn Henderson designs all the new Hunter sailboats.